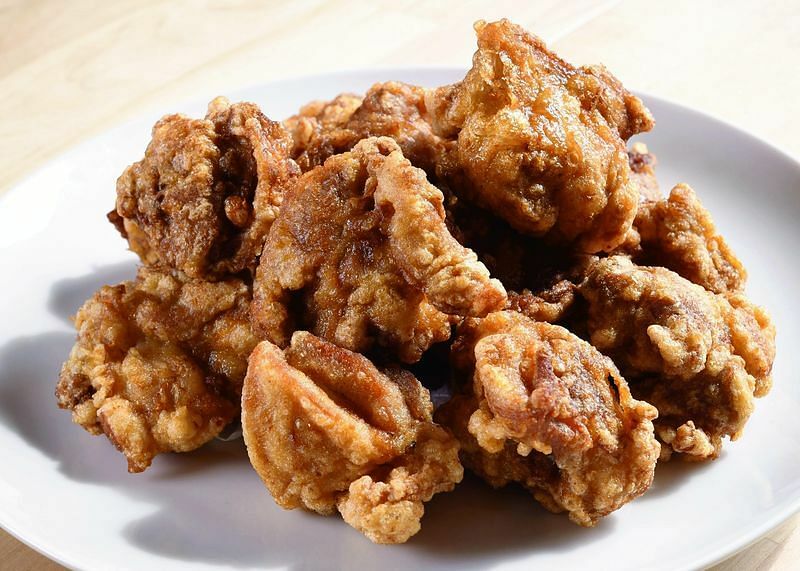 (The Yomiuri Shimbun) - Did you make too much karaage deep-fried chicken and now have leftovers? While it’s common to simply reheat the leftovers and eat them, cooking expert Ryo Imai recommends you “remake” the pieces into different dishes. He shared with us two recipes that are easy to cook. 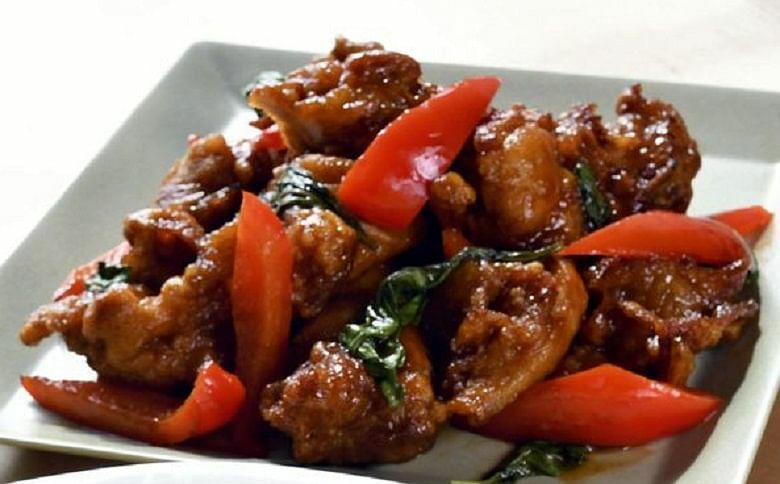 The first of the two dishes is a Taiwan-style basil and karaage stir-fry, which features the herb’s fresh aroma. First, put the fried chicken in a toaster oven or microwave to warm it. Coarsely cut a red bell pepper, heat four teaspoons of sesame oil in a pan and add the pepper. When it is tender, add the karaage pieces and stir-fry lightly. It is enough to stir-fry the ingredients only briefly, because bell pepper can be eaten fresh and the karaage was already heated. Mix together two tablespoons of soya sauce, two tablespoons of sake, one tablespoon of sugar, four tablespoons of water and two teaspoons of katakuriko starch. Add the mixture to the pan and stir-fry everything until the sauce thickens. Add the basil and mix lightly. The basil should be added as a finishing touch because the herb easily burns. Thanks to its flavour, this item is close to an authentic Taiwan dish, even though it can be prepared quickly. Imai’s second recommendation is a surprising combination: karaage with a Spanish omelet. To make a thick omelet, use a small frying pan measuring about 20cm in width. Slice the potato into quarters. Heat a little olive oil in a pan and lightly stir-fry the vegetable before removing it. Chop the fried chicken coarsely, beat the eggs well in a bowl then add the chicken and potato, along with a little salt and pepper. Heat two tablespoons of olive oil in the pan and pour in the egg mixture. Cook the omelet evenly, stirring with cooking chopsticks. By adding the karaage to the beaten eggs before cooking it, the chicken’s flavor blends with the egg. Cover the pan and cook for five minutes over low heat. Turn over and cook for another two minutes. “Covering it with a lid helps the omelet rise,” Imai said. Flipping the omelet may seem difficult, so Imai recommends using a plate slightly larger than the pan. Place the plate over the pan, flip the omelet onto the plate, then return it, upside down, to the pan. 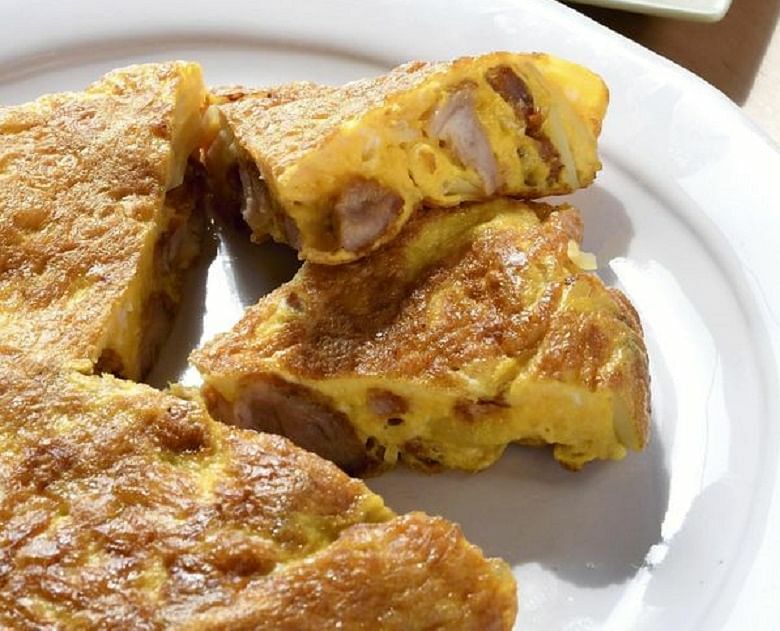 By infusing the omelet with the delicious flavour of the karaage, this dish becomes hearty enough to appease the appetite of growing children. It also goes well with ketchup, if desired. Imai also shared some tips on making karaage more delicious. After cutting the chicken into bite-size pieces, you can put it and the seasonings into a plastic bag before massaging them, thus helping the meat better soak up the flavours. When the flavours have blended well, add the katakuriko starch and massage the meat some more. Heat the frying oil to 170 deg C, then deep-fry the meat without moving it at all for the first minute. Separate any pieces that have become connected with chopsticks and cook for two more minutes, turning the pieces. For the final stage, turn up to high heat and cook for two more minutes. Place some paper towels on a rack over a tray to drain the oil. Put additional paper towels on top of the chicken and lightly press to remove any excess oil. However, do not leave the paper towels on the pieces as this will steam them.